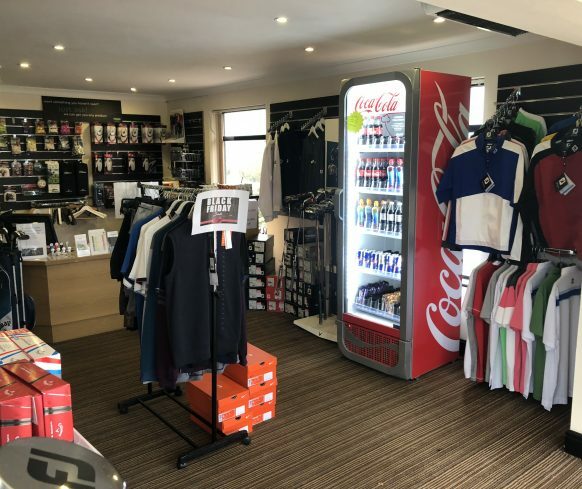 The Pro Shop is located in the main entrance to the golf club. 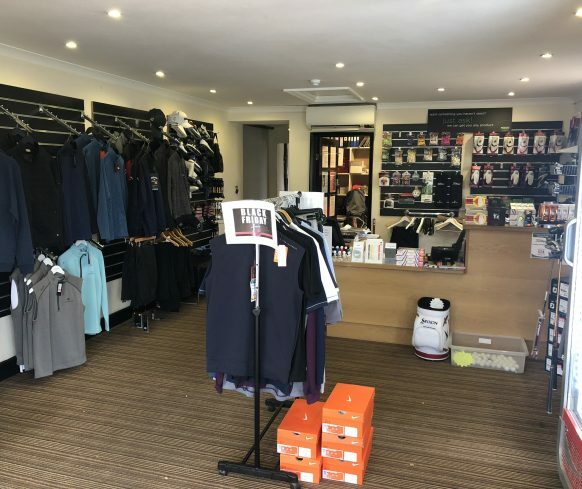 We are a full stockist of all leading brands from Titleist, Callaway, Srixon and ping, to Oscar Jacobson, Footjoy, Adidas, Stromberg and many more at an extremely competitive price. We cater for all golfers from the beginner through to the tournament professionals and are a SKY TRAK custom fit centre for all golf equipment. 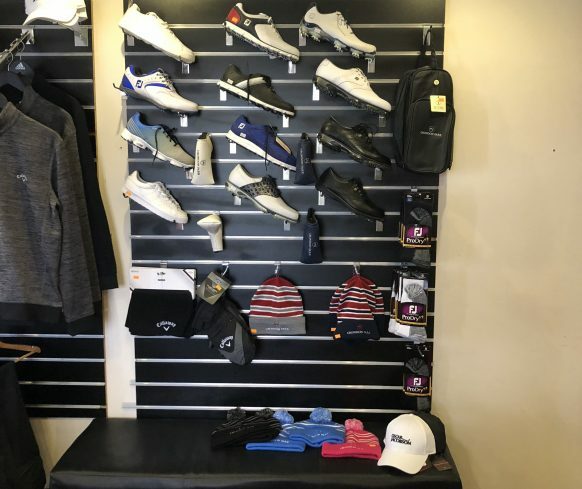 We stock all equipment from putters and wedges to irons, woods and drivers and have a great selection of all soft goods from bags, shoes and clothing to all accessories such as balls tees and gloves. Anything you need we can source, so look no further for all your golfing needs. There is also available a full selection of golf gloves, both left and right handed ,men’s and ladies, in leather, or all weather fabrics. There is also a full selection of other golf aids. We have a full selection of ladies and men’s knitwear, some of them have the Crondon Park logo on them. Weather proof outer clothing, shoes, towels and everything one would expect to find in a Pro Shop. There are buggies and both Electric and pull trollies available for hire 7 days a week, weather permitting, book in advance to save disappointment.